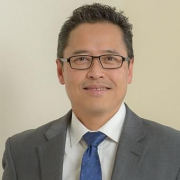 Dr Thum joined the clinic in 2002, having previously worked as a Research Fellow at assisted conception units at King’s College and St George’s Hospitals, London. He has continued his fertility research in reproductive immunology, including natural killer cells, recurrent failed implantation after IVF treatment and recurrent miscarriage of immunological origins. He has also published widely on his research in reproductive immunology, women with elevated FSH and IVF treatment in conjunction with egg-sharing.